"Voltron: Legendary Defender," an 11-part animated series on Netflix, reimagines the giant-robot toy from the mid-1980s. Some new kids shows coming out now may look familiar to you. Producers are looking to the past for ideas, even if the titles predate the target audience's birth by decades. 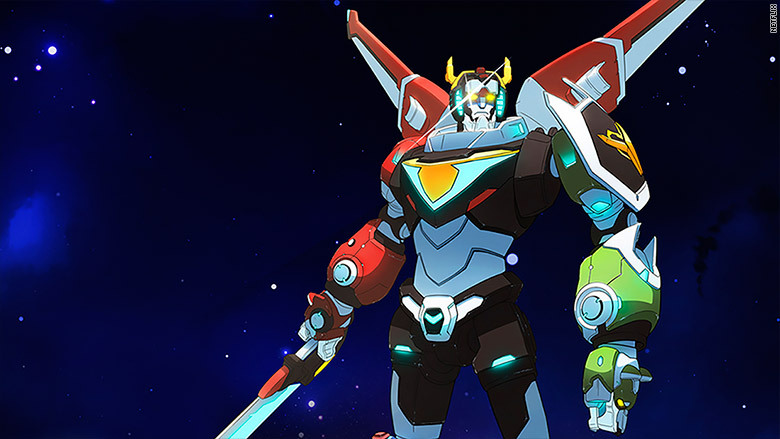 On Friday, Netflix (NFLX) will introduce "Voltron: Legendary Defender," an animated series that reimagines the giant-robot toy that generated cultish devotion in the mid-1980s. Later this month, the Disney Channel adds to its movie arsenal with "Adventures in Babysitting," based on the 1987 movie that starred Elisabeth Shue. Notably, a lot has changed in these new versions. "Voltron" adopts a more serialized and ambitious storytelling approach. Its 11-episode run will start with a one-hour premiere featuring the team that operates colorful robot lions uniting to thwart an intergalactic threat. "Adventures in Babysitting," from Disney, is based on the 1987 movie that starred Elisabeth Shue. 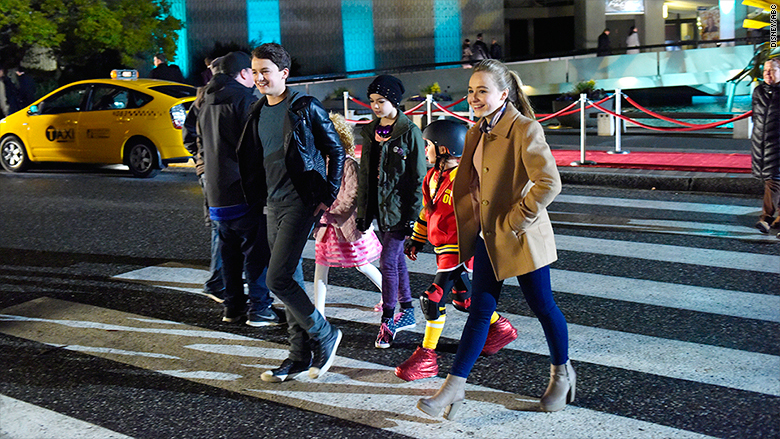 "Adventures in Babysitting" features Disney stars Sabrina Carpenter ("Girl Meets World") and Sofia Carson ("Disney's Descendants"). The plot departs from the original in multiple ways and is set in motion by the two girls inadvertently swapping cellphones, which weren't in the hands of every tween when the first one was released. Amazon, another streaming service vying to reach more kids, went even farther back with a reinvention of "Thunderbirds," a series introduced in the 1960s. In primetime, reboots of shows like "MacGyver" and movies like "Lethal Weapon" and "The Exorcist" are being used as a form of shorthand to help market new programs. With kids, the trend is less about name recognition than the comfort that comes from established commodities. "For buyers, it's a proven entity," said Margie Cohn, head of DreamWorks TV Animation, which produces "Voltron" and is developing other classic properties. "The story structure works, and was responded to" by fans. And it's "an added bonus" that parents, who grew up with the originals, help decide what their kids watch, Cohn said. But she stressed this isn't their father's "Voltron," with the producers having "imposed a mythology on the property that was hinted at, but certainly didn't make it to the TV screen in the '80s." Disney has enjoyed success mining its animated stalwarts for TV, from spinoff series like "The Lion Guard" to "Descendants," a live-action movie built around the teenage kids of various Disney (DIS) villains. Yet Gary Marsh, president/chief creative officer of Disney Channels Worldwide, said the network has examined live-action movies from the studio's library and found few ripe for a remake. So why this one? "I love the title," Marsh said, adding that beyond kids, parents and millennials "looking to recapture the original will get a huge charge out of this movie." Unlike the recent wave of primetime adaptations, however, Marsh suggested nostalgia only goes so far in the children's arena -- especially as a marketing proposition -- and that the movie and its stars must stand on their own. "For the most part," he said, "my audience has never heard of 'Adventures in Babysitting.'"